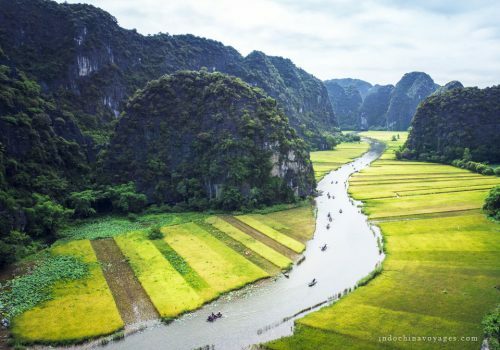 Halong Emotion Cruise combines charm and great comfort to meet the growing demand of travellers looking for luxurious cruises in the bay. 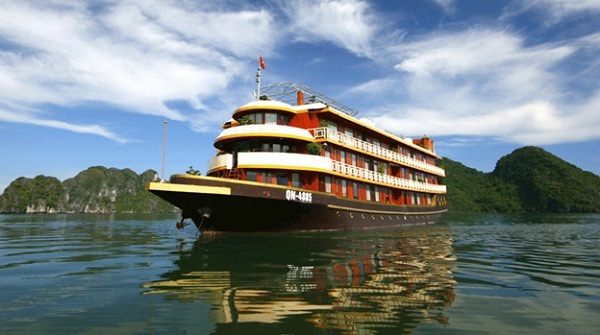 Founded in 2007, Halong Emotion Cruise mainly operates from its headquarter in Bai Chay, Halong City – Vietnam. Designed in the 1910’s Indochina style, the Halong Emotion offers the perfect mix in traditional elegance and modern comfort. 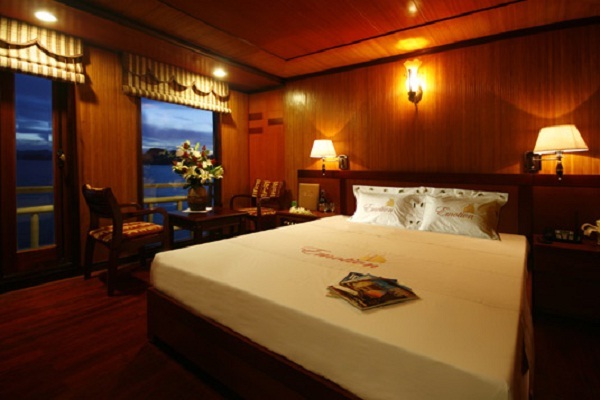 It features 28 comfortable rooms, a dining room with sea view, a bar and a superb sundeck. 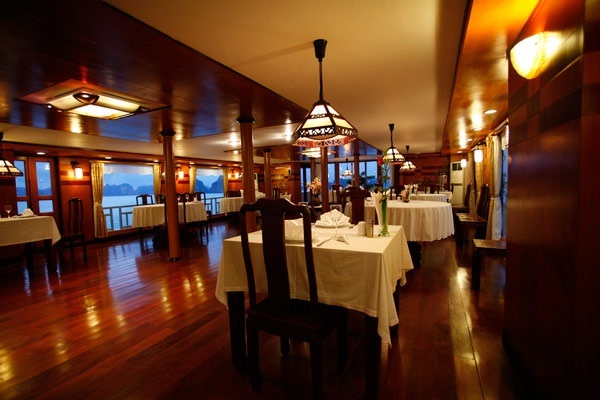 It is a warm and romantic atmosphere, will be the feeling you have when sitting by overlooking sea view window and being served in the restaurant. All the dishes are made of fresh materials in the coast. Located on the top floor is the 500 m (1640 ft) sundeck, excellent for sunbathing, panoramic views and – if the weather permits – barbeques. Grab a drink in the bar, lay back and enjoy a magnificent sunset. Take advantage of the cooler air in the mornings to practice Tai Chi. Different workshops will be organized by the instructors on deck. 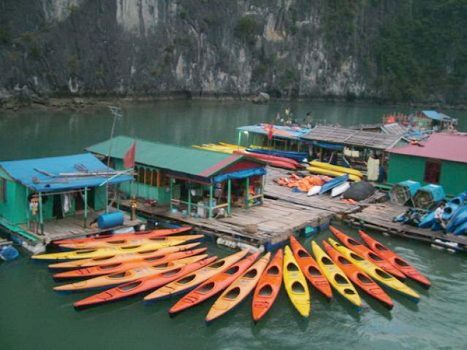 Halong Emotion cruise offers you the various services on board, such as massage – spa beauty service, traditional music, kayaking, diving, swimming, Tai Chi Classes, and etc. 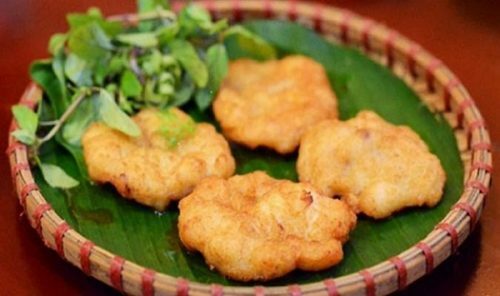 Especially, cooking classes is a chance to learn more about Vietnamese cooking.